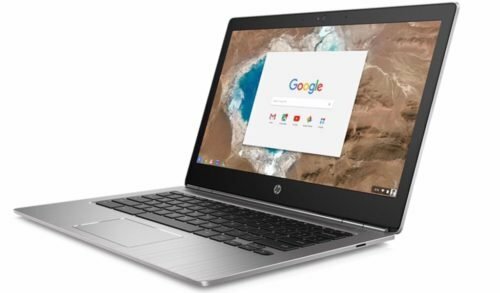 HP Chromebook 13 Specification And Review: HP new Chromebook 13 is nice and most premium design laptop for Chrome OS. New Chromebook 13 has awesome display, whole new design pattern and much more as our discussion unveils. Chrome OS power this device interface as Chrome OS is not fully evolved interface like macOS or Windows but slowly making changes towards stability. As Chrome OS is very fast and fluid run up device very faster, security of OS is also good and it works good only when it is online. HP Chromebook 13 has got much interesting specs include display of 3200×1800 resolution, device powers by Intel’s Skylake CPU which make this device as awesome deal. Apart form these Chromebook has three port for USB including one 2xType-C and other 1xUSB 3.0 other ports include 3.5mm headphone jack, SD card slot and power port. 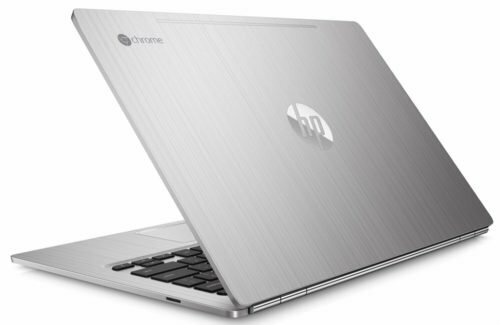 HP Chromebook is comparing with Apple MacBook 12-inch which is also a same type of device but also more in it so read this discussion on our other post. Chromebook’s are very soft core device which only uses less hardware specs and less optimized OS. Chromebook is only good for business uses as it has no Gamer or Professional capabilities while we reviewing this device there some moment we feel iPad Pro is better than this device. So let’s start review. HP Chromebook 13 has ergonomic design and beautiful looks, from first sight the metal enclosure with metal effect look device is always ready to works. Device has also cut out into nice design from it’s lid as it get thicker from lid to back but design look straight and nice. Chromebook 13 has nicely curved edges make this device more appealing. Other stuff including keyboard, HP logo and track-pad are designed to match whole design. All ports and spaces are perfectly crafted for user day-to-day usage.Using this device for daily drive only for design then it is good. When we look device all around you see on side it has SD card slot while on the other it has Type-C port, USB 3.0 Port,Headphone Jack Port and Power Source Port. As we look for device dimension 12.59 x 8.64 x 0.50 inches and weight only about 2.86 lbs. As device also very light weight and easy to move around places. Device is made from aluminium and available only in one shade of silver. Display of this device is very beautiful and nice with 13.3-inch of display which accounts 3200×1800 pixel at 276ppi things really looks nice. HP Chromebook 13 uses UWVA WLED eDP Bright View display which has very nice view but more brighter as contrast and color saturation of the device is perfect. As it pretty sadly that display don’t has IPS panel so it very hard see from side ways. Other part display of device is fine and play high role in the price of device. For Hardware HP Chromebook 13 is very high spec device in Chrome family to deliver this good hardware as there is option for user to choose from Dual Core option of Pentium, core M3,M5 and M7 processor. While we are reviewing coreM7 processor model having 16GB of RAM and 32GB of Storage. Device also has Intel’s 515 HD graphics but there are no graphics things to use as device not has any game or application to use. Using device for running web apps like Google apps or much more like this things device runs really nice without any issue or performance lag. But if you are looking for much more content like editing, playing games do some codes this laptop don’t meant for you. Device comes in many configuration option which start from Pentium Processor of 900Mhz and Finally goes upto Dual Core coreM7 clocked at 1.2Ghz with Turbo boost. For memory option basic model has 4GB while it goes upto 16GB in coreM 7 model. Storage option is very low and not usable at all as it has only 32GB of Flash Storage. For graphics handling device has Intel’s HD 515 graphics. Trackpad of the device is little imperfect for use as some time it feels shutter or stop. Connectivity option device include Wi-FI 802.11ac and Bluetooth v4.2 while other purpose of Syncing include 2 Type-C and 1 USB 3.0 ports. HP Chromebook 13 uses Google’s Chrome OS which is unfurnished version of OS as OS only works on internet without it is only dump box. Chrome OS is established nearly about 3-4 years and as we compared with 40 Old Years OS like macOS or Windows things really incomparable. Chrome OS is fast and fluid for working as daily drive, boot up time of device is very fast apps which are available on the Chrome Web Store runs very smoothly on the device. New update of ChromeOS may bring Google’s Play Store will make this device more useful and also add apps which really enhance this product productivity. Battery life of this device runs upto 6 hour in our battery test as HP claims this device to run about 11 hours which is never gonna achievable while lowering screen brightness and turn of Wi-Fi will make this device to reach 10 hour mark. For light use this is one of the best in comparison without any hiccups but if you will over view it’s utility with respect to it’s price many more option available in market like Samsung Notebook 9 or Apple Macbook 12-inch as these devices are inbuilt with many good feature and more useful than HP Chromebook 13 as these device has good OS, powerful processor, more RAM, utility of these device are more than Chromebook and have more storage. Cost of Chromebook Starts from $400 for Pentium Processor model with 4GB or RAM while higher model is at $1000 approx with coreM7 processor and 16GB of RAM.